Get your business noticed with our affordable and quality promotional banners. We specialize in portable display systems including pop up display stands, banner stands, literature dispensers, vinyl banners, folding displays, pavement signs, pop up display and other point of purchase equipment. Also known as ‘Roller Banners. Freestanding, lightweight, portable, and easy to assemble, making it a convenient solution to your on the go marketing needs. Can be erected in seconds at any inside venue and it’s easy to move so as to place your message exactly where you want it. 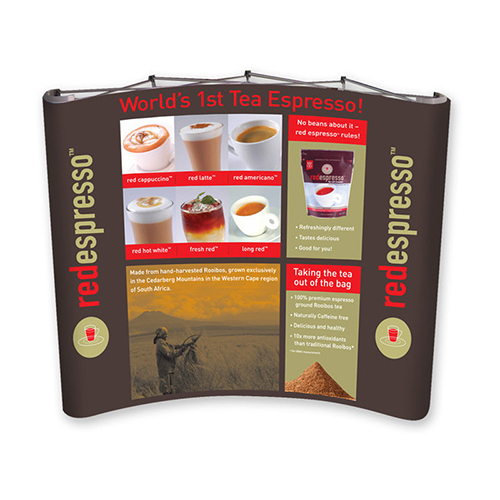 Roll ups are great for advertising at trade shows, corporate events and sports venues. Shark Fin banners are highly impactful and perfectly suited for both indoor and outdoor events. 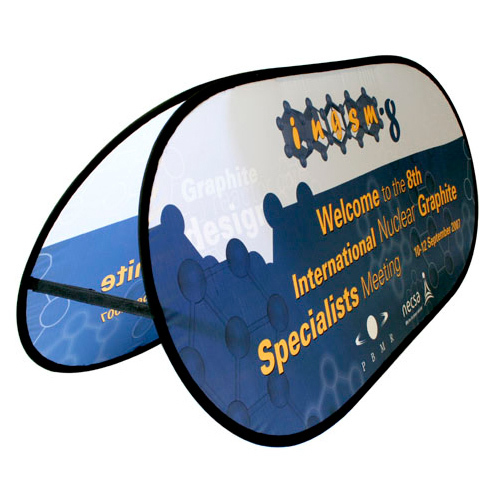 The lightweight system is easy assembled and comes complete with aluminium framework, a durable Polytwirl fabric banner with di-sublimation print , a ground spike and a convenient carry bag. Fabric is U.V. protected & water resistant. The Pop-up banner is a cheap promotional display medium. 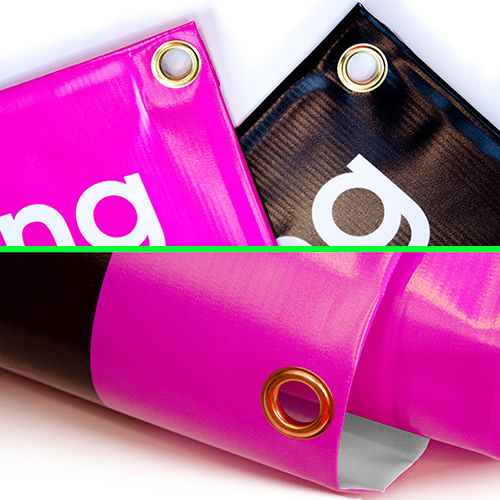 Pop-up banners literally pop up in a second and are also easy to fold up on the go. Perfect for indoor or outdoor events, durable and weatherproof. The Pop up banner is often confused with the A-frame banner, which has a rigid aluminium framework to keep the banners in place. A-frame banners are ideal for highlighting forthcoming events, directing the public, advertising special offers golf days and much, much more. A-Frame banner is designed to be compact, light-weight and user-friendly taking just seconds to erect and take down. A-Frame banner is suitable for both indoor and outdoor promotions. 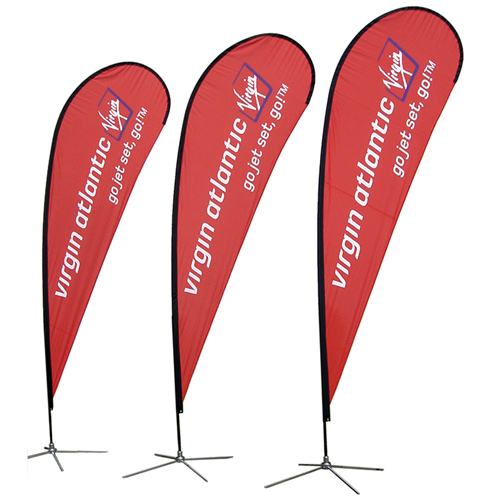 A-frame banners can also be displayed horizontally with one or two banners, or vertically with three banners. 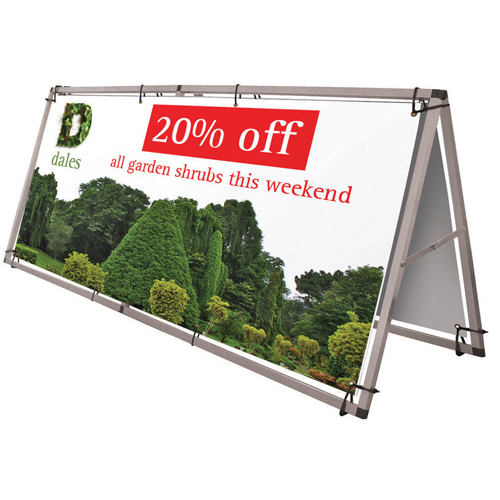 The X Frame Banner stand is a lightweight marketing solution which features a tripod-like frame with extendible legs. 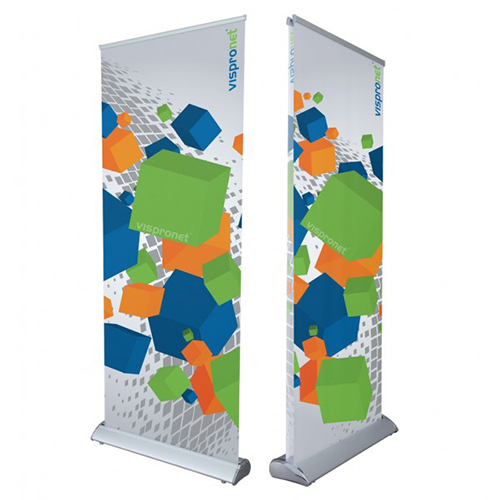 X-Banner Stands, also known as Spider Stands are a one of the more affordable and flexible ways to display your banners. 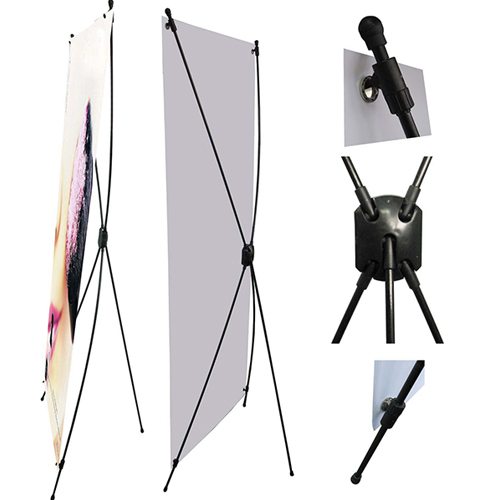 Adjustable to fit many standard sized banners, their extreme portability makes these X Frame Stands perfect for presentations at trade shows, product conventions and are also great for the showroom floor. Fence wrap is a product designed to cover temporary or permanent fencing and scaffolding. It can be used exclusively to promote an event or company, but also offers the ability to mask areas so visibility is reduced or completely blocked out. Fence wraps are widely used for brand exposure at outdoor events. 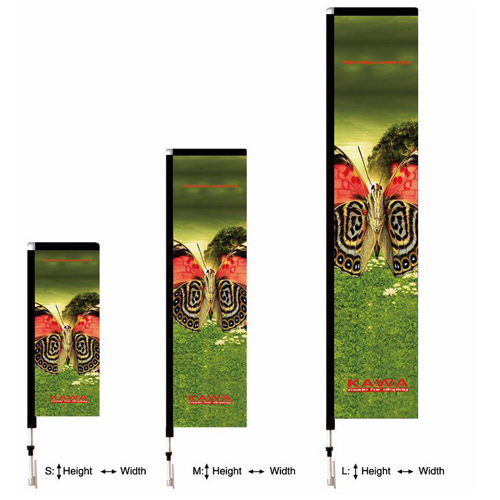 The fabric used for fence wraps are PVC banner, mesh banner and polyester fabric. PVC Vinyl Banners are a quick and economic way of conveying your message effectively. For outdoor events and promotional use PVC banners are an ever popular choice. Make an eye catching impression with a PVC banner! Attract the attention of your customers and visitors with hanging banners – a cost effective, high visibility promotional tool that can be designed to suit your corporate branding and promote products or services. Hanging banners are normally found in trade shows, exhibition halls, and conventions by companies wishing to advertise as effectively as possible. Roll out the red carpet. Backdrop banners are perfect for any event or photo shoot. 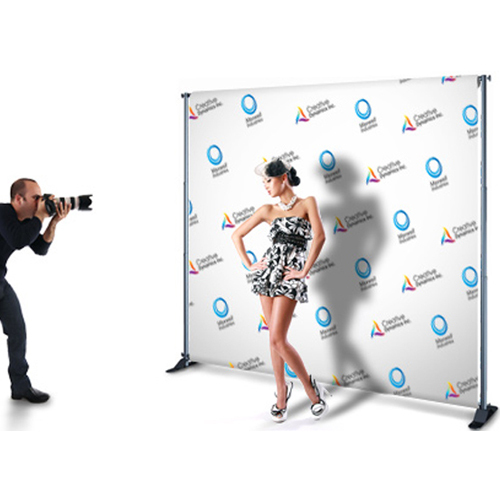 These huge backdrop banners are commonly used as media backdrops or exhibition and trade show backdrops. Get effective “background branding” by using a backdrop banner. Street pole banners effectively advertise important events throughout downtown city streets and shopping centers. These lamp post flags attach to existing outdoor fixtures, such as a street lamppost, optimizing available advertising space to the fullest capacity. 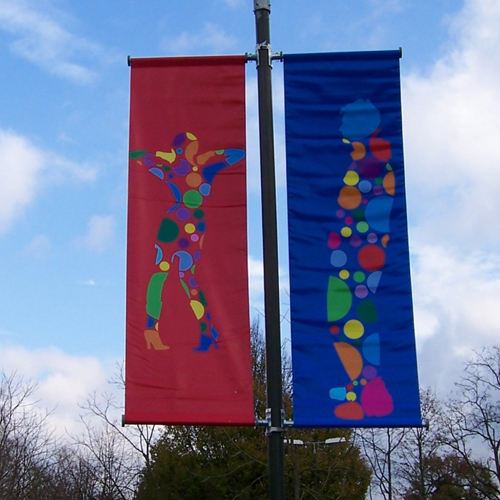 Street pole banners are subject to a demanding environment that requires the best materials and craftsmanship to ensure longevity and attractiveness. Flexible pole systems and high quality heavy weight vinyl are recommended to combat wind force. 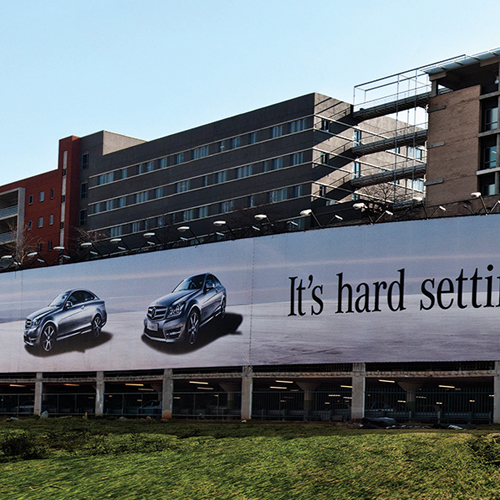 A Telescopic Banner is ideal for indoor and outdoor advertising. It’s Lightweight, portable and easy to assemble. The system comes complete with aluminium framework, a ground spike, a durable fabric banner and convenient carry bag. Teardrop Banners/Flying Banners are an increasingly popular banner design that is both visually and cost effective because of their eye catching nature, especially in outdoor areas where they are sure to attract the attention of passersby. 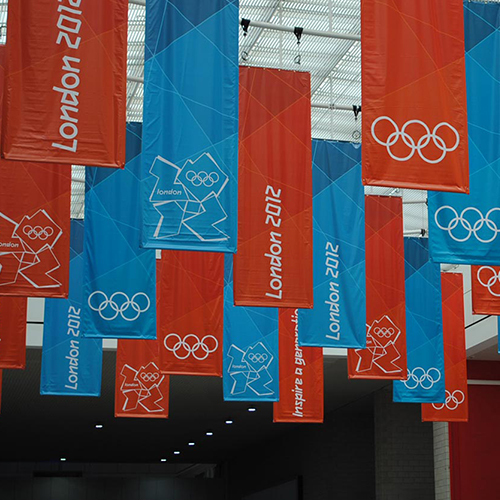 Teardrop Banners are suitable for both indoor and outdoor use with a number of different bases to suit any situation. 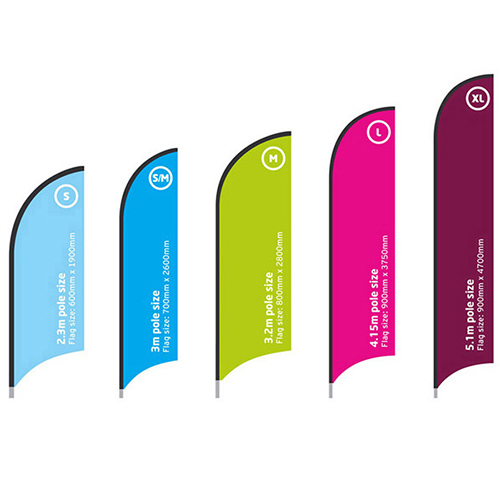 We have a range of teardrop banner sizes to ensure that you can find the perfect one for your needs. Feather banners can create unique, striking effects for inside and outdoor displays, trade shows, shop fronts, special events, etc. Feather flags are easy to set up and are fully interchangeable. Even if your needs change from season to season, we can supply the flag only without the pole. So you can easily order one pole set and multiple feather flags so you can change them as you need. 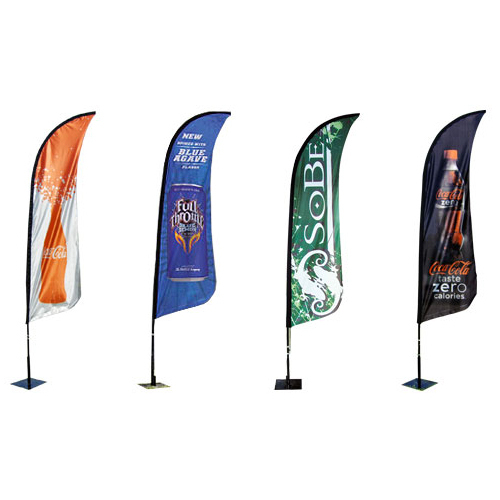 Custom printed feather flags have the advantage of displaying your logo or message no matter the weather as they are not dependent on wind to fly. The size, shape and design of feather flags make them incredibly noticeable and due to the multiple base options, they are perfect for interior or exterior use. Curved display banners project an image that dramatically enhances the look of your graphics and branding. Fulfilling your brand’s ambitions with our creative and technical excellence is our mission.